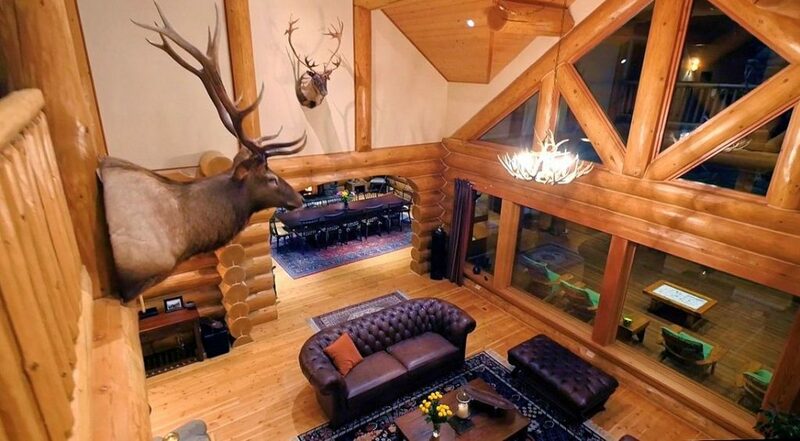 Originally built on a private 1200 acre ranch in the Canadian Rocky Mountains this handcrafted log lodge is the centerpiece of a unique off grid estate hidden in the wilderness. 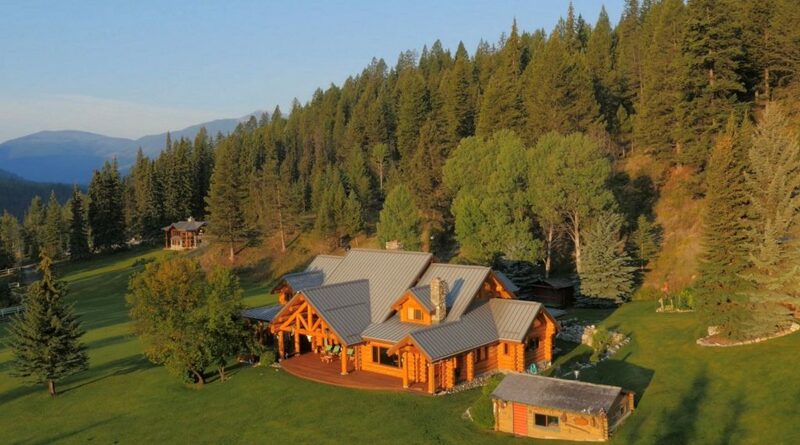 The Royal Antler Ranch has been called “the finest ranch retreat in North America” and the log building by North American Log Crafters described as “exquisite in every detail. “Is this the log home you’ve been dreaming of? 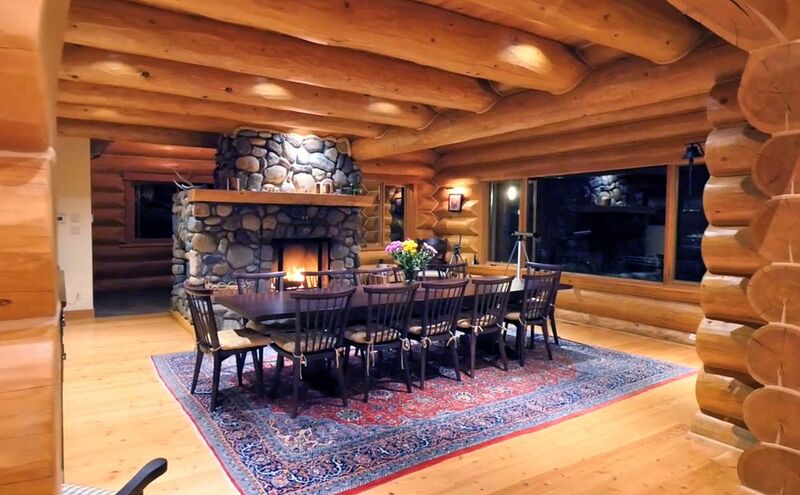 Listed at $15 million, this property sold in 2012, but the luxurious log lodge can be crafted again for you. Imagine this magnificent log lodge on your own property, gathering family and friends around one of the stone fireplaces. Enjoy a luxury 5038 ft floor plan with 4+ bedrooms, 6 bathrooms, library, sunroom and generous living areas indoors and out. A modern design with traditional style, this is a log cabin dream home you’ll never want to leave. Blending into the landscape, a log home is immediately welcoming, the handcrafted logs warming every spacious room with natural texture and rugged beauty. Expansive windows let you enjoy the landscape in every season, massive log walls ensure your comfort. Attractive functional design allows many guests to enjoy social hours and private moments. Sportsmen or active families will appreciate the large mudroom at the end of a day’s adventures. 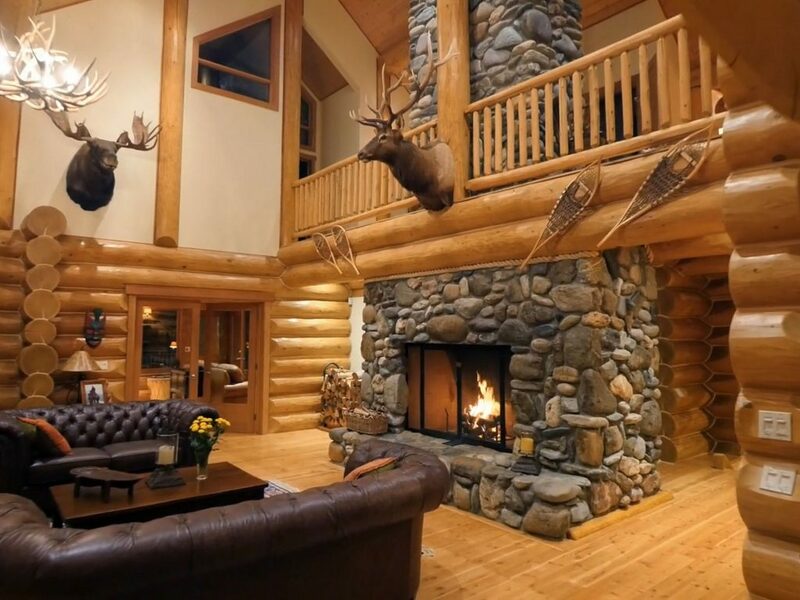 A log house is an outdoorsman’s dream home: luxury built to withstand the demands of real life. What’s included in a log package? Click Here All log components are fabricated and assembled by the master log builders at North American Log Crafters, a team of highly skilled timber craftsmen. 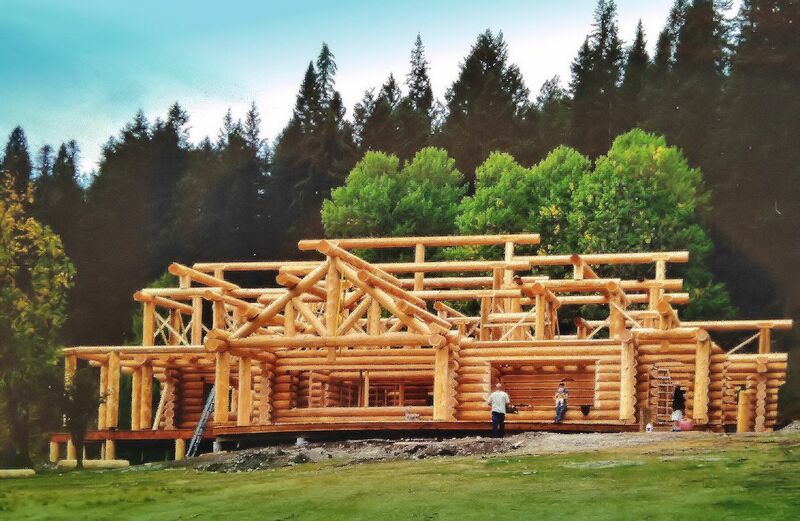 Appreciate the unparalleled level of skill in the construction of every home: each one of our log home builders has 20 years experience in their craft. Ready for finishing, the log package is reassembled in its final location. (Right) The finest quality Douglas Fir logs prized for their strength under snow load were chosen for this Rocky Mountain ranch. You’ll love this raw power and beauty wherever you build your dream home. This incredible log home plan can be modified to fit your property and your needs, or it might inspire you to work with one of our draftsmen for your own custom log home design. 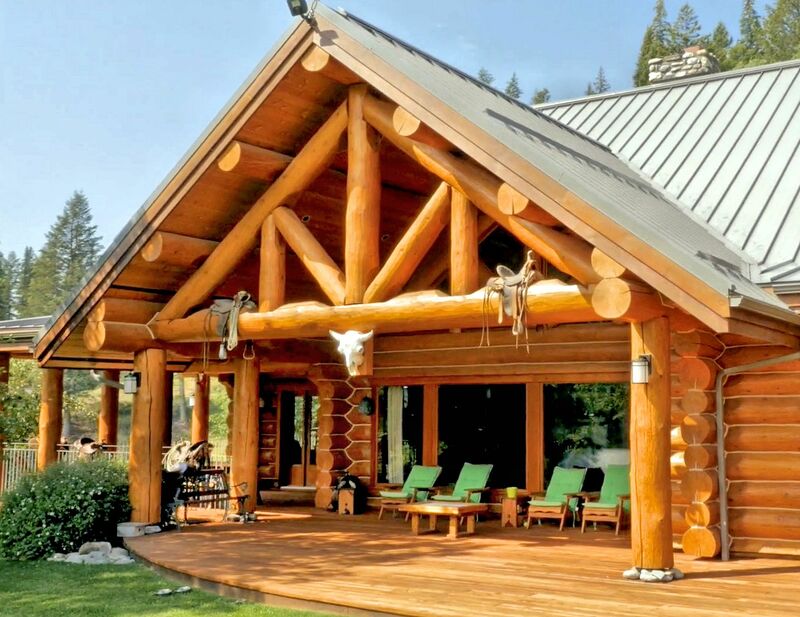 Contact us to discuss a custom log home plan or alterations to any floor plan that catches your attention. Looking for something different? See other log home plan ideas. Most of the log homes built by North American Log Crafters are custom designs: the log house plans you’ll find here are only an example of the many log home styles available. Bring us your ideas and we’ll begin planning your log home masterpiece! Worldwide shipping and professional reassembly is specifically priced for your location. See Floor Plan and More Teamwork: The Advantages of Our Log Package System What’s Included in a log package?